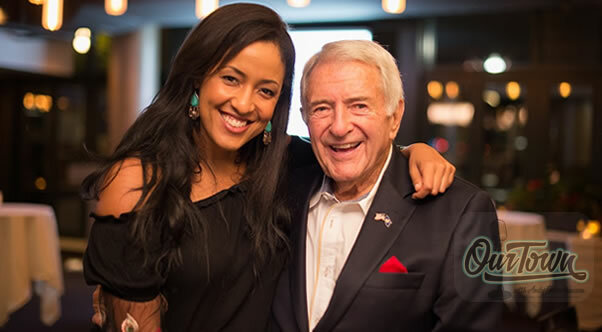 Listen in this week to Our Town as Andy O has a heart to heart chat with Silver Spring native Tara Lewis, the current Senior Regional Marketing Director for Yelp! Yelp is crowd-sourced app which carries reviews about local businesses, as well as the online reservation service. Tara’s enthusiasm and positive energy can be felt through the mic as she and Andy reminisce about her humble beginnings as a receptionist at Comcast SportsNet. Creativity, passion and hard work have lead Tara to a career that seems to have been “written just for her” from her internship with sports legend George Michael to creating new job opportunities for herself in the University of Maryland’s sports department, Tara has blazed her own trail. She tells her story about her reaching out to Monumental Sports owner Ted Leonsis on Facebook and he answered her back. Tara’s is an incredible tale of seizing an opportunity when it presents itself. Learn more about Tara and the solutions that Yelp offers for both consumers and business owners in this new episode of Our Town podcast. We hope you enjoy listening to Tara Lewis discuss her perspective about Our Town with host Andy Ockershausen. We invite you to listen to each new episode of Our Town as they roll out over the next several months. You can subscribe to the Our Town podcast on iTunes, Google Play, or if you complete the subscription form in the sidebar to the right you will be notified by email when the next episode appears here on the website.